BioZyme recently hired Cody Jensen of St. Joseph, MO as Quality Control and Production Efficiency Coordinator. In his new position, Jensen is responsible for ensuring that quality parameters are met during product receiving, manufacturing and delivery. Additionally, he will work to maximize mill efficiency and throughout on a daily basis. 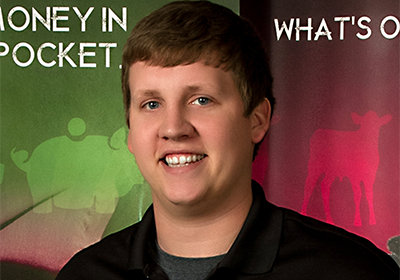 Jensen previously held a Plant Engineer internship position at Kent Nutrition Group in Altoona, Iowa, and an internship as Summer Manager at Nelson Poultry Farm, Inc. in Manhattan, Kansas. He has an associate’s degree in Agriculture from Butler Community College and a bachelor’s degree in Feed Science from K-State. Jensen has served as Chairman of the National Junior Hereford Board and was a member of the Butler Community College Livestock Judging Team.